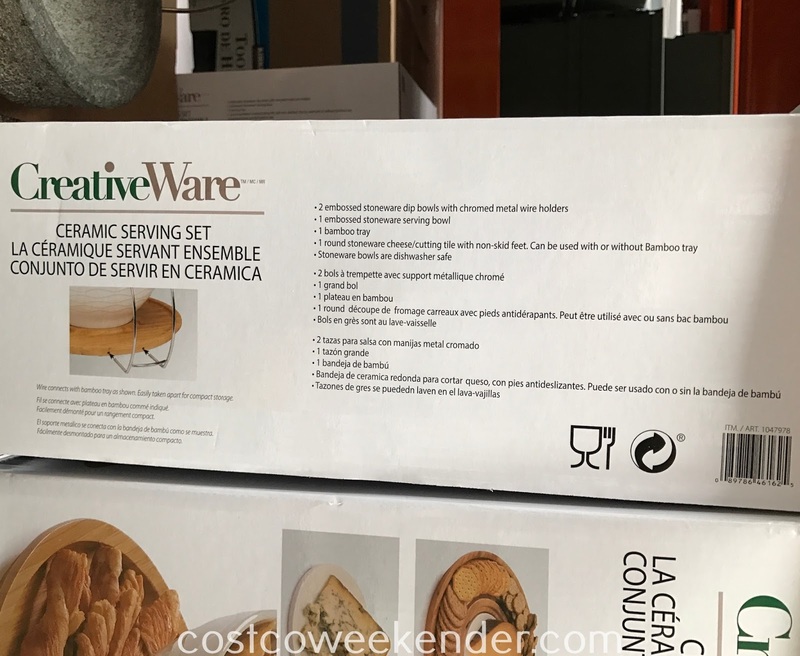 If you love hosting parties for friends and family, then you should check out the CreativeWare Ceramic Serving Set from Costco. 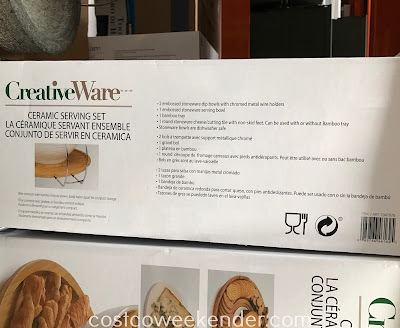 This set allows you to easily serve appetizers to your guests. You can put salsa, guacamole, or hummus in the dip bowls. 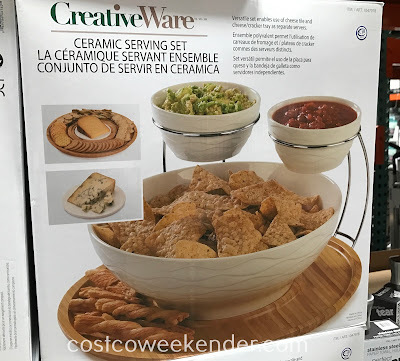 It's pretty cool that the CreativeWare Ceramic Serving Set can be used as a cheese board for cheese and crackers as well. 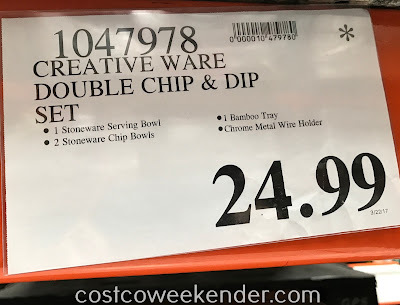 chip bowl. Definitely consider the CreativeWare Ceramic Serving Set if you're having some of the guys over to watch the big game this weekend. For sure they won't mind snacking on chips and dip. 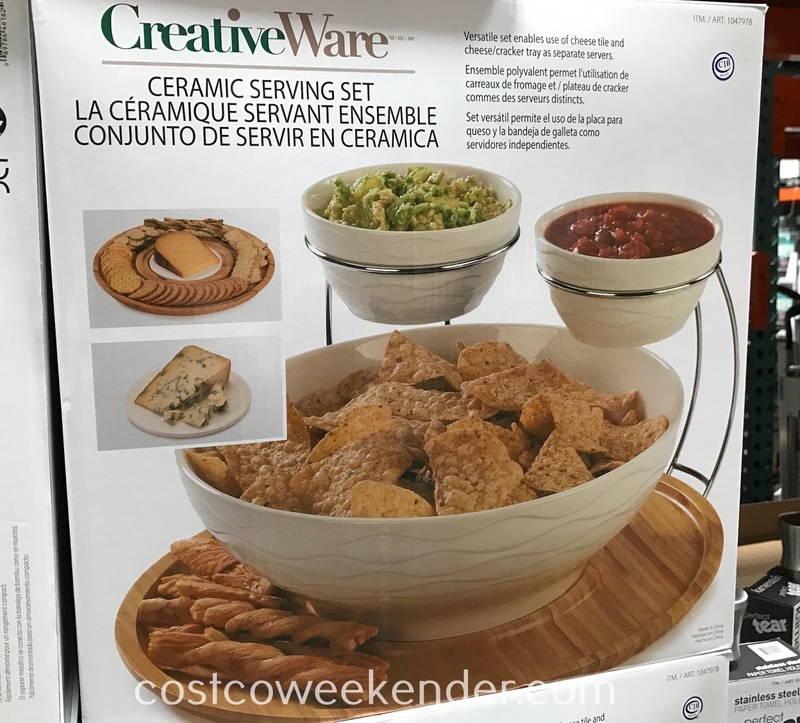 Versatile set enables use of cheese tile and cheese/cracker tray as separate servers. Wire connects with bamboo tray as shown. Easily taken apart for compact storage.